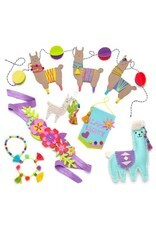 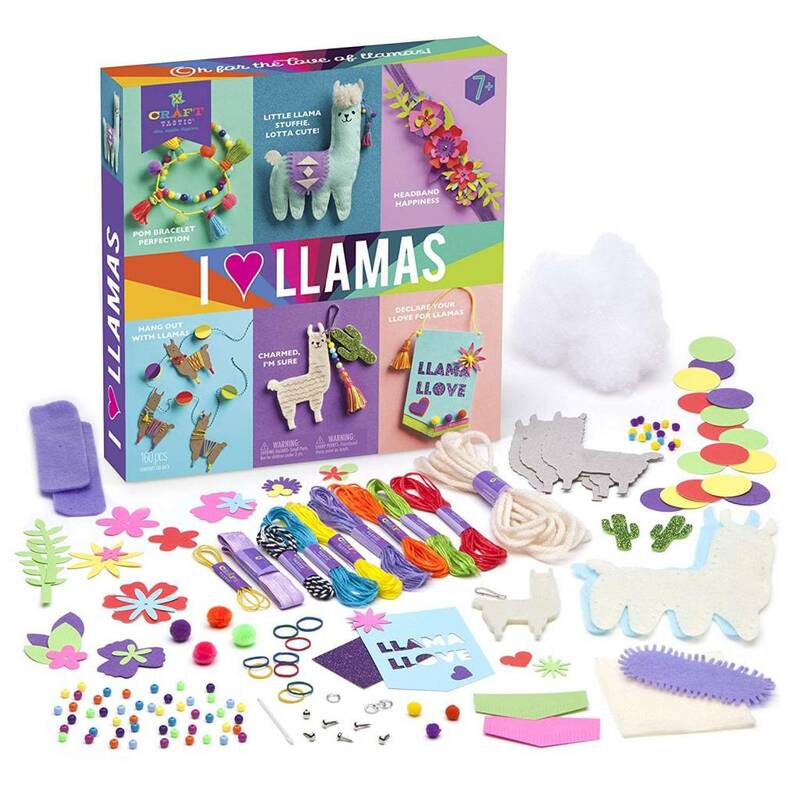 A whole llotta llama fun with six delightful craft projects! 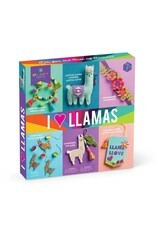 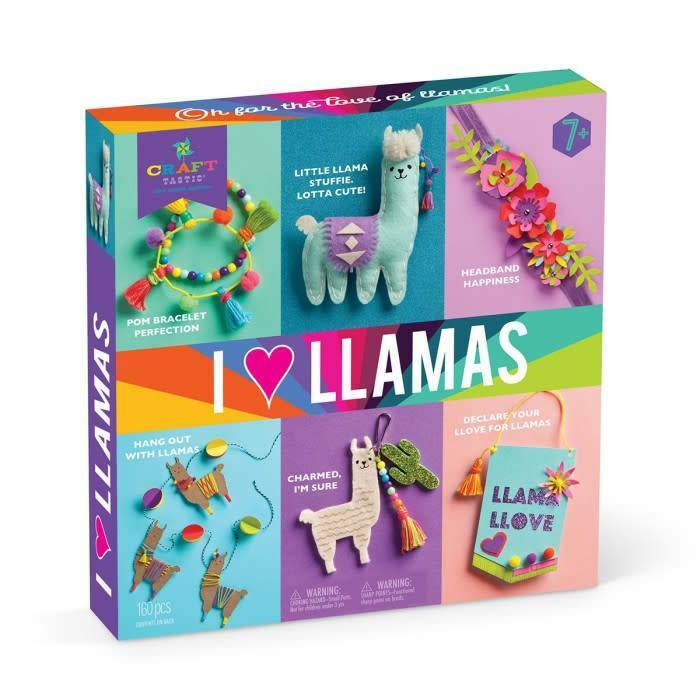 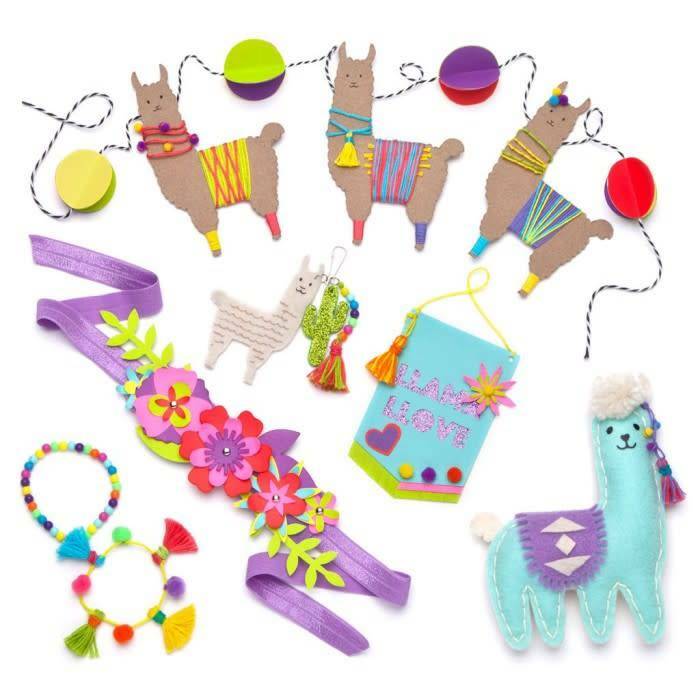 Llama llovers, lleap for joy as you learn new crafting skills and make bracelets, a stuffie, headband, garland, charm and banner. 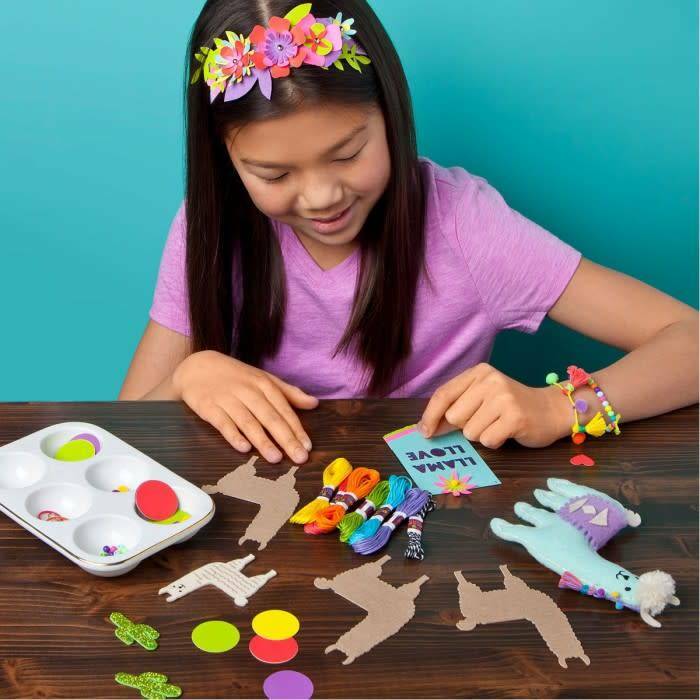 Decorate your bedroom, clip on to your backpack or purse or just show them off to your family and friends. 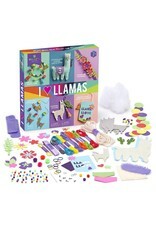 This kit is loaded with cuteness, color and creativity that engages the imagination and develops fine motor skills – and provides a sense of accomplishment. 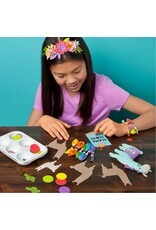 Includes everything you need and detailed instructions with young readers in mind.